Complimentary private VIP tastings for 2 people upon request. For the wild and adventurous, this club will bring you a taster of 5 wines. You get wines exclusively with the horse label that will include our unique varietals: the award winning 2012 Albarino “Bliss” (which won 2 gold medals and a Best of Show award), 2 bottles of the 2010 Muscato “Inspiration”, and 1 bottle 2006 Cabernet Sauvignon “Perception”. Included are all the benefits above and trust us, the shirt is cool. Breathe deep and this deal will cost you a cool $150 (plus shipping and tax if applicable). Join this club and lots of Love is heading right into your glass. It’s a heart warmer with an emphasis on our higher end reds. 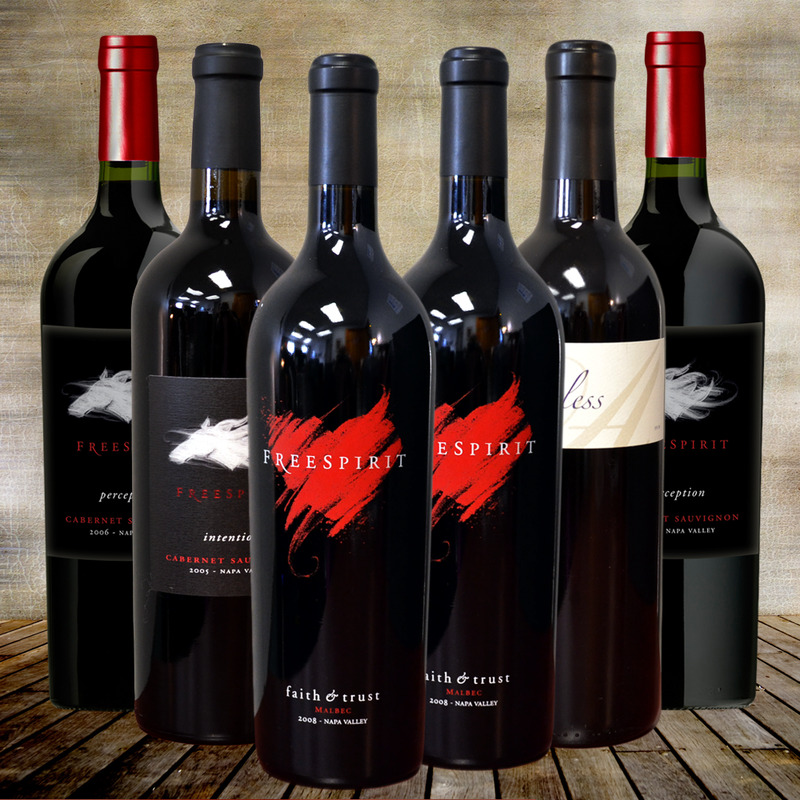 You will receive 2 bottles of our signature Heart label (2008 Malbec Faith & Trust), 2 bottles of 2006 Cabernet ‘Perception’, one bottle of 2005 Cabernet ‘Intention’ and one bottle of 'Ageless'. This is a once a year deal (only renews if you wish) and includes all the benefits mentioned above. All for $295 plus shipping and tax if applicable. Good karma received with every purchase.